Fueled by the need to be connected 24 x 7, the demand for data center services has become red-hot. Reflecting this growth in today’s digital economy, data center construction is expected to register an annual compound growth rate of approximately 22 percent through 2018. Some operators believe that bigger data centers are better! The world’s government’s and largest technology companies are investing hundreds of billions to create larger and larger data centers. These Mega Data Center (MDC) are processing more and more of the information used for telecommunications, cloud computing, and financial firms. 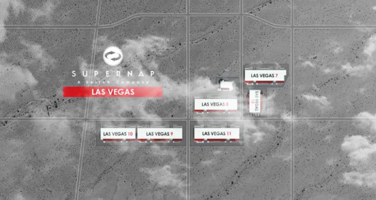 Find out who is building the world’s largest data centers and where! 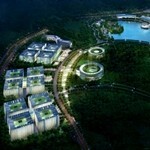 First on our top ten is the Inner Mongolia Information Park owned by China Telecom. With an astonishing 10,763,910 square feet the Information Park is the largest of 6 data centers in Hohhot as well as the largest in the world. The largest data center in the world doesn’t come cheap with the price tag on the Inner Mongolia Information Park at around $3 billion. The facility contains a cloud computing data center, call centers, warehouse, offices, and living quarters for staff. The 6,673,624 square foot Range International Information Hub is going to be the same size as the Pentagon when it is completed in 2016. 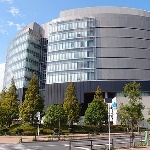 In collaboration with IBM, Range Technology built the facility to provide services to private and government agencies. IBM will be consulted for design services, technology, training, solutions, and business applications. China Unicom’s Northwest Data Center makes the top five with a total square footage of 6,436,818 feet. This facility cost China Unicom 12.3 billion yuan ($1.97 billion.) This location will feature an additional 78,740 feet below ground. This facility is located in Hohhot, Inner Mongolia along with rival China Mobile’s Southern Data Center. Another product of China Mobile, the Southern Data Center is contained over 5,274,346 million square feet. The Southern Data Center is one of many data centers springing up in Hohhot Inner Mongolia. 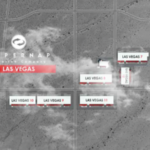 The Las Vegas Data Center provides access to over 1.4 Million square feet of adaptable space, 315 megawatts of resilient power, 50+ network providers, multi-layer site security, access to Switch’s patented containment systems. 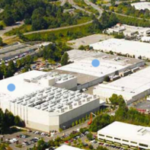 Seattle is Sabey Data Center’s flagship data center property and the largest privately owned multi-tenant campus on the West Coast. It comprises two campuses, 8 buildings, and over 1,373,000 square feet of data center space. At number 9, the 1.1 million square foot Lakeside Technology Center does not look like your typical data center. Digital Reality Trust purchased the historic landmark at 350 East Cermak Road in 2005 for $140 million. The building at 350 East Cermak was originally developed in 1912 by the R.R. Donnelley Co. which used the space to house printing presses. Lakeside Technology Center is home to 70 different tenants with data centers for financial firms and other important Chicago businesses. Commonwealth Edison reports the Lakeside Technology Center as its second largest power consumer, second only to the Chicago O’hare airport. The number 8 spot hosts the first facility not in China on our list. Located in Bluffdale, Utah the NSA’s newest datacenter has been referred to as “the Country’s Biggest Spy Center” with a total square footage of 1,100,000. The NSA dropped $2 billion on this new facility including $9.7 million for the visitor center making sure only cleared personnel gain access as well as an additional $10 million on video surveillance, intrusion detection, and other securities. At the heart of the NSA data center are four separate 25,000 square foot data halls capable of holding thousands of servers. 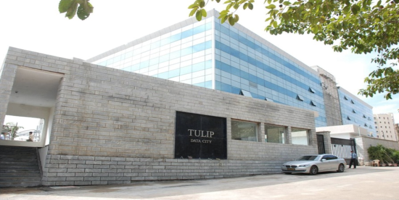 The Tulip Data City was the third largest data center in the world when it opened in 2012. 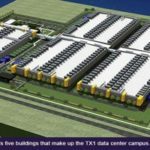 The Tulip Data City covers just about one million square feet in its four towers that house 20 Enterprise Modular Data Centers. 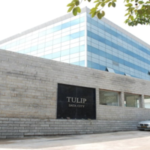 Tulip Telecom Ltd. developed this facility with the help of IBM in order to support the 2,000 locations Tulip reaches in India. 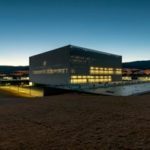 The Portugal Telecom data center seeks to combine progressive architecture, sustainability and the latest in information technology. The location for Covilha was chosen because it is the coldest point in Portugal which will allow for easy cooling on the overheating servers.The PT facility is built to be sustainable, featuring a rain water collection system (which forms a moat around the data center building), an on-site photovoltaic solar power generation, and a garden with more than 600 trees. Portugal Telecom is seeking Gold LEED certification for the data center building, and LEED Platinum status for the attached office building.